Gemalto’s core purpose is to bring trust to an increasingly connected society by providing the “security to be free” to some of the world’s largest businesses and governments. Whether online banking, licensing, or transportation, Gemalto provides strong authentication and identity management capabilities via hardware and embedded security software in forms such as payment cards, ID cards, and even passports. The company protects clients with encryption and secure credentials and—thanks to the acquisition of Marquee ID in 2014—it now supplies additional credentials to many states’ driver’s licenses as required by “Real ID” legislation. As a multinational company, Gemalto is organized into regional groups around the globe and business groups across industries. 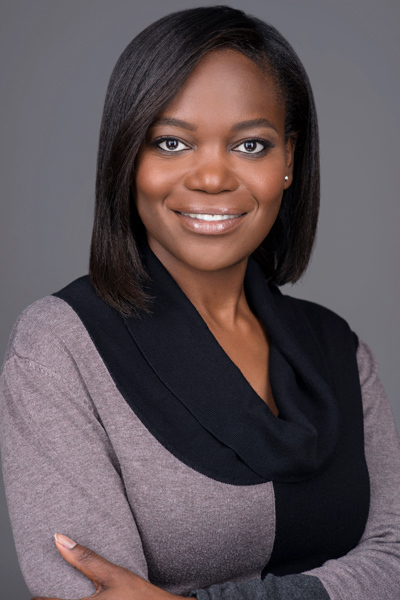 Zara Roberts Gerald is general counsel of the identity, data, and software services business group (IDSS), a position she accepted when the company formed IDSS after acquiring SafeNet—their biggest acquisition to date at $890 million. With responsibility for IDSS’s legal and compliance function, as well as building an integrated team, Roberts Gerald finds myriad occasions to put her expertise in both law and operations to use every day, and spoke about her role and responsibilities with Modern Counsel. You left Sun Microsystems shortly before it had been acquired by Oracle to join the team at Gemalto. What drew you to the company? Stock prices had dropped at Sun, there were fewer advancement opportunities, and I was getting restless. Plus, lots of things appealed to me about Gemalto. The legal group was smaller, for example, so every member had to function as quasi-general counsel for their business segments. There were niche specialists for certain functions, but we were all expected to be relatively fluent in other disciplines. It was lots of fun, and the benefit of joining during a time of so many unknowns was that it taught me how to navigate organizational change—something that proved highly beneficial in the future. Why were there so many unknowns? formed Gemalto in 2006. Like any merger, it was a high-stress environment, but I learned a lot and grew as a lawyer and a leader. I also gained a great appreciation for the importance of the ways in which teams and businesses operate. What appeals to you about operations? I am adept at bringing order to chaos. I’m an analytical thinker and enjoy solving problems, and that’s essentially what operations is: looking at the totality of a situation, assessing it, understanding the current landscape (especially getting to know the individuals involved) and using all that information to increase efficiency. Where did you learn those skills and how did you hone them? It was a combination of nature and nurture. Before Sun, I worked at a large firm that taught me a strong work ethic. At Sun, I had to quickly learn on the job to manage my workload and prioritize—and I didn’t have the luxury of crying out for help, so I learned efficiency by necessity. As a working parent, I learned that running a household isn’t that different than running a business: You figure out what needs to be done, assess the resources at your disposal to complete the job, and how to fill the gap between those two things. Lastly, at Gemalto I have a high level of responsibility and accountability, and that has taught me to be a thoughtful and definitive leader. What advice would you give to other GCs who want to improve their team’s operations? From the outset, it’s important to understand that, “You don’t know what you don’t know.” When Gemalto acquired SafeNet, I inherited a fully functioning legal team and had to figure out how to integrate that group with a team of Gemalto attorneys. The process of figuring out the landscape takes time, especially if it’s globally dispersed, but it’s necessary in order to understand what needs to change. A level of humility helps. I rely on getting to know people and what they can teach me. There is no way to prescribe change, and change is often difficult. Because of that, if people don’t understand the change, you’ll lose them. It’s also important to justify change, but still expect pushback. The best tactic I have found is to introduce common-sense change—and phase it out if you can. When it comes to operational changes, my style is to take time to make a decision and to provide a platform for everyone to weigh in. But once the decision is made, I’m resolved to see things through. Can you talk about the importance of operations in your legal team and how it contributes to Gemalto’s success? During the integration of the legacy SafeNet legal team into the Gemalto legal team, we had everything from conflicting databases to different signature authorities to different work styles. Our differences ran the gamut, so our challenge was to figure out if there could be middle ground and if so, what would it look like. Certain things were mandated by the company, others were accepted as cultural differences, but most important was how we operated under pressure. In order to be successful, we had to create a united team that operated seamlessly, and we have made great progress. How did you provide leadership throughout the integration with SafeNet? One early action in order to understand the current landscape was to host an all-hands meeting. With everyone in one room, I got to know them on an individual basis, as well as get a sense of the group dynamic. During that session, I talked to everyone about roles, and explored some “quick wins” we might be able to achieve as well as a list of long-term “must-dos.” I believe it’s important to be on a dual track to change, balancing quick goals with the long-term mission. Relationships are an important component of good leadership. What are some that inform the way you lead? In my first month in this role, I established regular, one-to-one meetings with everyone on my legal team, whether they reported to me or not. That direct touch has been a key way to maintain a relative understanding of what’s going on across the team, especially because we’re spread out over three continents and four countries. Another important set of relationships has been with my fellow Gemalto general counsels—peers who I collaborate and share information with, and who I learn from. Lastly, IDSS’s cross-functional leadership team continues to provide critical relationships where I find both friends and mentors. Looking to the future, what are your hopes for Gemalto? Gemalto is growing quickly, and my hope is that as we grow, we maintain vestiges of a smaller company—especially accountability and responsibility—while leveraging the benefits of a larger one. Editor’s Note: As of press time, IDSS is now known as Enterprise and Cybersecurity.